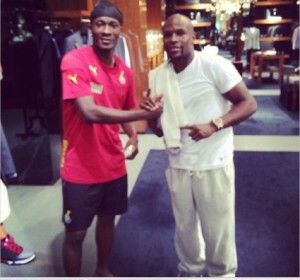 Ghana's Black Stars captain Asamoah Gyan has revealed famous American boxer Floyd Mayweather Jr is his role model. The undefeated World champion in five-divisions is regarded as one of the wealthiest sportsmen on the globe. The 'money-man' chalked massive success in the ring, making fortunes during an illustrious 19-year career. Gyan, who currently plays for Chinese side Shanghai SIPG is rated one of Africa's richest footballers. And the Ghana international wants to be as a success as the iconic American boxer. 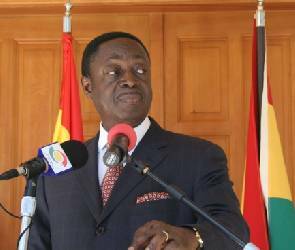 "It is straight away [Floyd] Mayweather," Gyan told Viasat1. "He is my role model. He is not a failure, very rich, he always wants to win and that has made him successful. "That is how I am. I never like defeat and always want to successful in life."